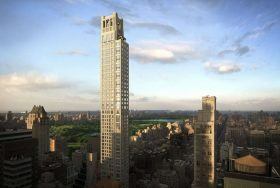 The quest to outdo One57’s record-setting $100.5 million penthouse doesn’t seem to be working. 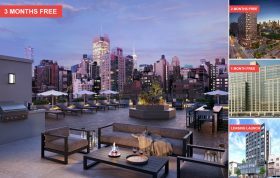 The two contenders, 220 Central Park South and 520 Park Avenue–both Robert A.M. Stern-designed buildings–announced their $250 and $130 million penthouses in 2016 and 2014 respectively, but there’s been no movement since. 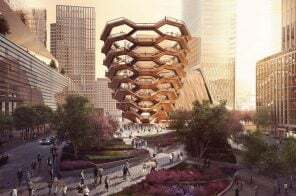 The latter building seems to have taken the hint, though, as The Real Deal reports that the 12,398-square-foot triplex has been chopped up into two “smaller” units–a $40 million full-floor unit and an $80-$100 million duplex. 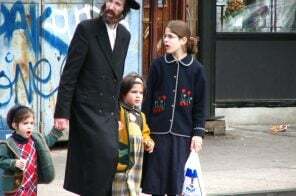 Just over a year ago, The Real Deal reported that Tony Award-winning Broadway producers Janet and Howard Kagan (“Tuck Everlasting,” “Pippin”) had put the 25-foot-wide, 12,729-square-foot mansion at 11 East 82nd Street, purchased for $24.5 million in 2009, on the market, asking $44 million. The impressive Upper East Side limestone-and-brick townhouse was also known for having previously belonged to financier Ron Perelman. The 1895 building in all its six-story, elevator-enhanced, Gilded Age glory has just been relisted for $29.5 million, a hefty haircut from last year’s ask. 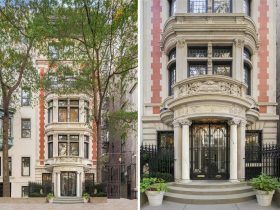 A three-bedroom co-op in the Rosario Candela-designed 720 Park Avenue, the epitome of 1920s Gilded Age grandeur, is on the market for $20 million. It was once part of an even grander duplex that belonged to onetime Macy’s president and ambassador to France Jesse I. Straus. 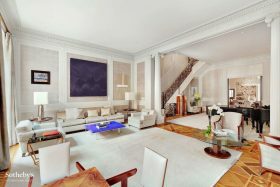 The lower unit is asking $23 million. 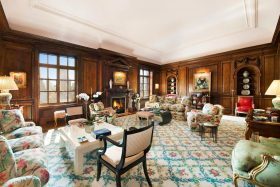 The two owners are offering a $43M combo that could restore the home to its original impressive status with eight bedrooms and staff quarters that, according to the Wall Street Journal, include a flower room, a vegetable closet and a valet room where cuffs and collars were pressed. 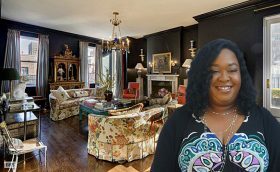 Shonda Rhimes — the showrunner behind TV hits like “Scandal,” “How to Get Away With Murder,” and “Grey’s Anatomy” — just picked up a penthouse at 765 Park Avenue for $11.75 million, The Real Deal reports. The Lenox Hill unit first appeared on the market in March for $14.75 million before being dropped to $12.5 million in June. This is Rhimes’ second real estate move in the past few months. In October she listed one of her several Los Angeles properties, a Hancock Park mansion, for just under $10 million. 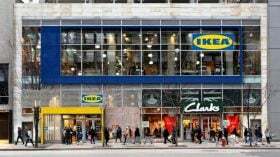 After teasing us last week with news that they were in the “preliminary” planning stages of opening a city-center store in New York City, Ikea has today announced, that they will, in fact, open their first Manhattan store in spring 2019. 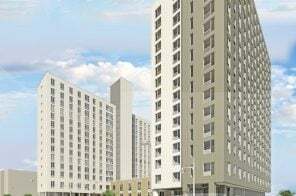 The IKEA Planning Studio–a delivery-only store concept that focuses on “smart solutions for urban living and small spaces”–will open at 999 Third Avenue, right across the street from Bloomingdales at 59th Street and just over the Queensboro Bridge from Long Island City where Amazon is readying to bring 25,000 employees. 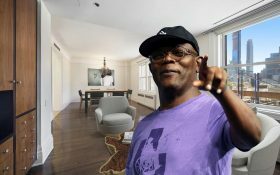 He may be the highest-earning box office star ever, but Samuel L. Jackson doesn’t seem to have dropped much of his billions on designing his Upper East Side apartment. The rather sparse condo, located on the eighth floor of 26 East 63rd Street, takes up a sizable 3,000 square feet and has four bedrooms, a contemporary eat-in kitchen, and an entertaining area with a wet bar. As the Post reports, Jackson and his wife, actress LaTanya Richardson, have put the place on the market for $13 million, perhaps to spend more time at their gorgeously designed Tudor home in LA. They bought the apartment for $4.8 million from N.B.A. basketball player Greg Anthony back in 2005. For those still struggling with the absence of Yorkville institution Glaser’s Bake Shop, which sadly closed its doors in June, there’s a chance to hold on to some of that sweet nostalgia. 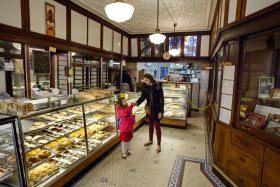 The complete interior of the beloved bakery, which first opened on the Upper East Side in 1902 and is credited with inventing black-and-white cookies, is for sale. The Demolition Depot announced this week they are selling classic features of Glaser’s, including its apothecary-style wooden showcases, sliding glass doors, original silvered mirrors, milk glass upper panels, marble countertop, and more (h/t Vanishing New York). After her late husband, Bobby Zarin, passed away earlier this year, original “Real Housewives of New York” cast member Jill Zarin has put her Upper East Side condo on the market for $3.3 million, after living there for 18 years. Since her daughter is also out of the house, she told Forbes, “it’s time for a change of scenery,” which likely be warmer weather since she added, “Since I love tennis, I want to spend more time in a climate that is suited for it.” Likely in anticipation of selling, Jill renovated the three-bedroom apartment at 401 East 60th Street less than a year ago, working with designers at Schoeller + Darling on a contemporary makeover.